The group Black Noise was formed in 1988. They are seen as South Africa’s first hip-hop crew. Black Noise had a role in every aspect of hip hop things like graffiti and breakdancing. They also took 3rd Place in Germany’s breakdancing battle. In this song Black Noise question the suffering of South Africans. So at the begging of the song they talk about how every thing they do they have to question “why?”. But the point I feel they are trying to make is that every thing happens for a reason. Even when they say “People always say never question god’s actions” there letting it be known that there is a reason why things occur. They discuss the flaws in the black community and how god is watching everything that is going on. Why is he letting it happen people doing drive-byes people and caught man diseases created by the government. Black people are hated because of the color of there skin and their pride has been deflated. Also they wonder why god choice them to go down the route the going. We live in a Satanist Lifestyle. Kids are being born and their parents are not taking care of them. I feel like this song was made to send a message that we need to change the way we live and find who we really are. Also what we where put here for and fulfill are purpose. We act the way we do because of how society portrays us and we start to believe it are self. The podcast features discussions and interviews on hip hop music and culture produced by African artists in Africa and in the Diaspora. The podcast is produced by Dr. Msia Kibona Clark and students in the Department of African Studies at Howard University. 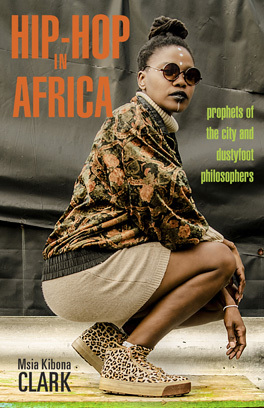 You can access all of our podcasts and blog posts on hip hop in Africa at www.hiphopafrican.com or get in touch with us at feedback@hiphopafrican.com.